A while back, Kat @ Life and Other Disasters nominated ‘whoever wants to do the tag’ for the Literary Dinner Party Tag. I thought it was a fantastic tag, so naturally here I am with my own take on a dinner party of book characters. I started out wanting to assemble a lighthearted, quirky group for a chill dinner party, then things…escalated, and in the end what I’ve created is more Red Wedding than Sweet Sixteen. You have been warned. My immediate thought for this first innocent prompt was Carter Lane from The Art of French Kissing, for whom cooking is her entire raison d’être, but several guests later I realised that that wouldn’t turn out well for a number of reasons. So after considerable thought I decided instead to invite the eponymous Circe from Madeline Miller’s novel. As a goddess, Circe cooks potions of herbs instead of mortal meals. She’s very skilled at her kind of cooking and loves it as her life, so she’s a cheeky pick but still satisfies the parameters. I easily invite Hideo Tanaka from Warcross, who’s steadily grown on me as one of my problematic faves. If my dinner party doesn’t quickly end in multiple full-blown fights to the death, it could turn into a salon-like gathering where Hideo would be one of the most interesting personalities. Yes, he wants to obliterate free will using VR tech, but he’s a genius visionary whose ideas would maybe fare better in a TED talk than executed on the world stage. How could I invite Hideo without also inviting his soulmate and sworn nemesis Emika Chen? We already know from the opening scenes of Warcross that no one causes a scene with as much flair or aplomb as Emika. Emika and Hideo in the same room, trying to be civil with each other, would be amazing and also possibly deadly. I can already see a scene being mutually caused. As a side note, fiction rarely gives us M/F relationships like theirs of intellectual equals with emotional attachment and fundamental ideological incompatibility, or what I think of as the Charles Xavier/Magneto dynamic. I love that there’s this aspect to Hideo and Emika. Don’t hate me: Lada Dracul from The Conqueror’s Saga. She’s no comedian, but her sheer single-minded brutality makes for some hilarious moments. Lada’s scathing wit is always welcome at my dinner party, but as usual the best moments of all will probably be when my favourite conqueror just isn’t on the same page socially because she can’t fathom that everyone doesn’t want to raze villages and torture puppies. I changed my invitee for this category about a hundred times, but in the end I settled on Lazlo Strange of Strange the Dreamer. Initially an orphan with nothing to his name, Lazlo goes on an incredible journey relying on nothing but wits, willpower and his boundless capacity to dream. He’s likely the most ‘good’ character on my guest list too, with experience interacting with and even getting through to morally darker personalities. It’ll be interesting to hear the perspective of someone who believes strictly in doing the right thing amongst the group of antiheroes and villains. Plus if you’ve read Strange the Dreamer, you’ll know that Lazlo can more than defend himself against anyone who sees him as an easy mark. I invite Victor Vale of Vicious fame! 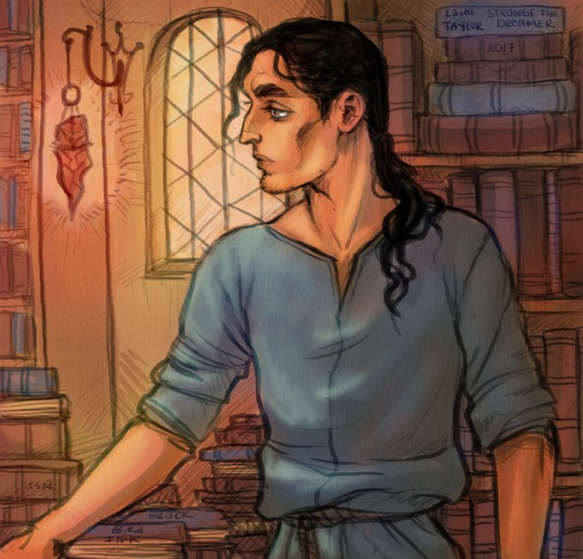 I’ve already gushed about Victor way too many times on this blog so I’m just going to reiterate that he’s a total bae who would definitely impress quite a few guests with his, ahem, party trick. I would be floored opening the door to Victor Vale. He better not decline my invitation. I had a hard time thinking of a character who’s both truly heroic and can withstand the level of toxicity that’ll be present at my dinner party. 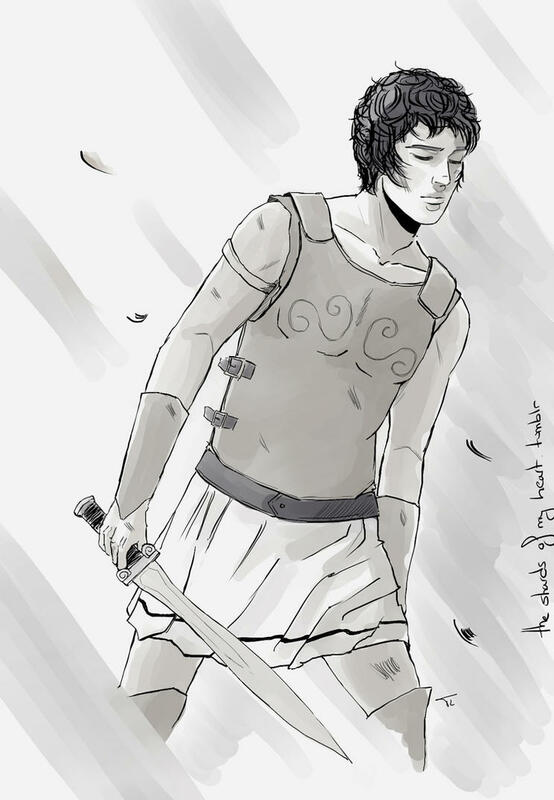 Eventually I came up with Patroclus from The Song of Achilles, another Madeline Miller creation who’s an ordinary young man trying to survive in a world of gods and heroes. He gets very good at exactly that–surviving–and along the way his perceptive mind picks up a novel’s worth of human insights. As far as cruelty, Patroclus has basically seen it all, and you bet this soirée would be no different. Above all, though, I need need need Patroclus and Circe to talk. It would be the meetup of the evening. 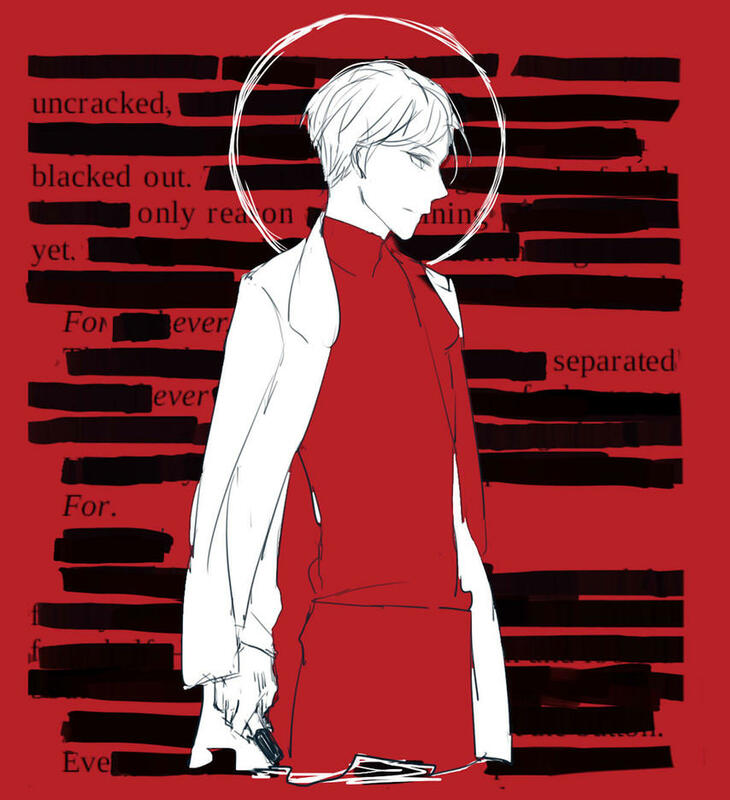 I’ll go with a longtime fave who’s underappreciated because of how underrated his book series is, Tyrus Domitrian from S.J. Kincaid’s Diabolic series. An ambitious master manipulator who uses his skills for good, he could just as easily play the party like a fiddle as find himself out of his depth. Either way I’ll make sure to instate a ‘no killing’ rule during dinner. Tyrus is young and very smart, and half of the fun will come in watching how he deals with guests like Hideo and Rin when he realises what they really are. This is, of course, the pre-Empress Tyrus I hope to invite. Speaking of which, we need to assemble a team to save Tyrus ASAP. S.J. Kincaid, please? I thought way too much about my free choice. The one category where I could invite anyone I had the hardest time deciding who to pick; ultimately I made my choice to invite August Flynn after Our Dark Duet. By the ending of that book, he’s matured into a true leader who walks a commendable line between the moral rigidity of his Sunai nature–‘anyone who has taken a life, even in self-defence, deserves to die’–and the relativistic impulse to judge each action by its own circumstances. August’s Sunai powers make him able to reap all but two or maybe three of the souls on the rest of the guest list, but I trust that the August of Our Dark Duet would know how to exercise his judgment on where it’s deserved and where it isn’t. Necessitated by my no killing rule, which I issue with a lot of confidence that the guests don’t have to know I can’t back up, alliances immediately begin to form. Emika, Lazlo and Patroclus realise that they’re the good eggs in the bunch and form a Heroes’ Squad, while Rin and Altan eye up Hideo murderously and Victor decides that all the other guests are idiots anyways and wonders why he didn’t bring Sydney as his plus one. Lada seethes in the corner until Circe approaches her with the confidence of someone who can’t be killed. They eventually strike up a conversation, and Lada realises that Circe is actually pretty cool after all. A friendship is formed. Along the way Circe befriends Patroclus as well and they agree that Odysseus is a snake, S S S S S.
By the time dessert is served Rin and Altan are both hammered. Altan is also high on…other substances that he somehow managed to smuggle in. They decide in their inebriation that it’s a good idea to attack Hideo, and almost burn him to death until August subdues them with his music. Tyrus brings out the futuristic med bot he packed and has Hideo good as new within the hour. No one’s happy, but at least my house is still standing, so that’s a solid 8 out of 10. What did you think of my choices? Who would you have invited? If you’ve got an idea of your own, I’m tagging everyone who’s interested–this tag is great fun with lots of opportunities for your imagination! “No one’s happy, but at least my house is still standing, so that’s a solid 8 out of 10.” I like your definition of a good party! Also, any party with Victor Vale is bound to be pretty exciting, and I wouldn’t mind meeting August Flynn either. Yeah they’d all have a lot of things to discuss! August I’d just give lots of hugs to. I am glad you had fun with this tag and really gave great explanations as to why you chose people for their categories. I also love how you had this section where you detailed what you thought would happen haha that was brilliant to read! This is such a unique and creative tag! I love reading your little snippet of how you think it would all go down, it’s hilarious. Thanks so much for sharing!